If you're looking for a single indicator of the pace of China's economic growth, look no farther than oil. Back in the mid-1990s, China was self-sufficient in oil; these days it's the world's biggest importer after the United States. That demand is only set to grow. In 2002, imports accounted for 34% of China's oil supply; by 2030, that will rise to 80 per cent, according to the Paris-based International Energy Agency. In the early part of this decade, that growing reliance on foreign oil sources set alarm bells ringing in Beijing, especially in light of the deteriorating international security situation. And so officials decided to follow the example of developed nations like the US and Japan and establish a government-controlled strategic oil reserve. Typically, China's oil companies hold about 30 days of reserves. The national stockpile is aimed to extend that to about 90 days by 2010, Zhang Xiaoqiang, vice-chairman of China's National Development and Reform Commission (NDRC), was quoted as saying in January. According to a February report in Petroleum Intelligence Weekly, cited by the Xinhua state news agency, the government will cover the US$1.6 billion cost of building the first stage of the project. Construction of the reserve is understood to be already under way in four locations, providing storage for 16m cu m – or 92m barrels – of oil in the initial phase. The first of these facilities will be complete by the third quarter of 2005. The report stressed, however, that final decisions on the size and operation of the reserve still had to be taken, and might not be finalized until May. Establishing a strategic petroleum reserve "makes sense to bolster short-term supply security," says Scott Roberts, China director for the energy consultancy Cambridge Energy Research Associates (CERA). Broadly speaking, governments maintain reserves to guarantee against short-term interruptions in supply. Roberts notes, however, that with the price of a barrel of oil touching US$50 dollars in recent years, there has been some discussion in the United States of drawing on strategic reserves to even out oil prices. China may be considering similar plans, the Petroleum Intelligence Weekly report said. The reserve would "definitely be used as a mechanism to manage prices," the report quoted a senior Sinopec official as saying. And it quoted a refiner, who said, "Everyone knows we need the crude. The strategic petroleum reserve can be a way for us not to be subjected to exorbitant prices." China's oil consumption is rising so rapidly and so unpredictably that it's hard to say exactly how much it would need to store by 2010 to create even a 30-day reserve. A November research report by Merrill Lynch & Co., however, estimated a figure of 186m barrels. Will such stockpiling have a major impact on China's oil demand? Some in the market believe it will, says CERA's Roberts. But he disagrees, arguing that because "statistics are rather bad" in China, the market is often unsure about what's happening in the oil industry, and so may be placing too great an emphasis on the plans to establish a reserve. Even if the government works as rapidly as possible to fill the reserve, Roberts says, the increase in China's demand from filling it would only amount to an additional 70,000 to 90,000 barrels per day by 2006-2007. That would add only between 3% and 5% to China's current oil imports. "Other factors, in the power market's use of diesel, in industrial demand, in refining capacity and in several other areas will have a much bigger impact on China's oil demand," he says. Still, the plans to fill the reserve will only add to the oil issues that China faces. Internationally, China has risked the ire of the United States by developing ties with the Iranian government and Venezuela's President Hugo Chavez, whom Washington is accused of trying to overthrow in 2002. Chavez met President Hu Jintao in December 2004 to discuss widening China's access to Venezuela's oil market, and the South American made a direct link between the agreement and his belief in the need to challenge the United States' global supremacy, saying "this is what is needed in the world in order to break with unilateralism." Just as seriously, the plan to establish a reserve risks pushing global oil prices still higher. 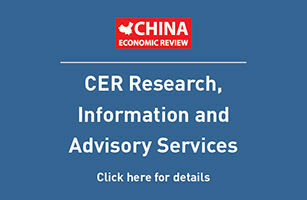 Despite sometimes conflicting statements, state officials appear to be working hard to avoid talking up the market, says CERA's Roberts, who cites the example of senior officials from the NDRC's Energy Bureau who have declared that China wouldn't sink a barrel of oil into the reserve while markets remain above $35. "But of course he would say that," comments Roberts.